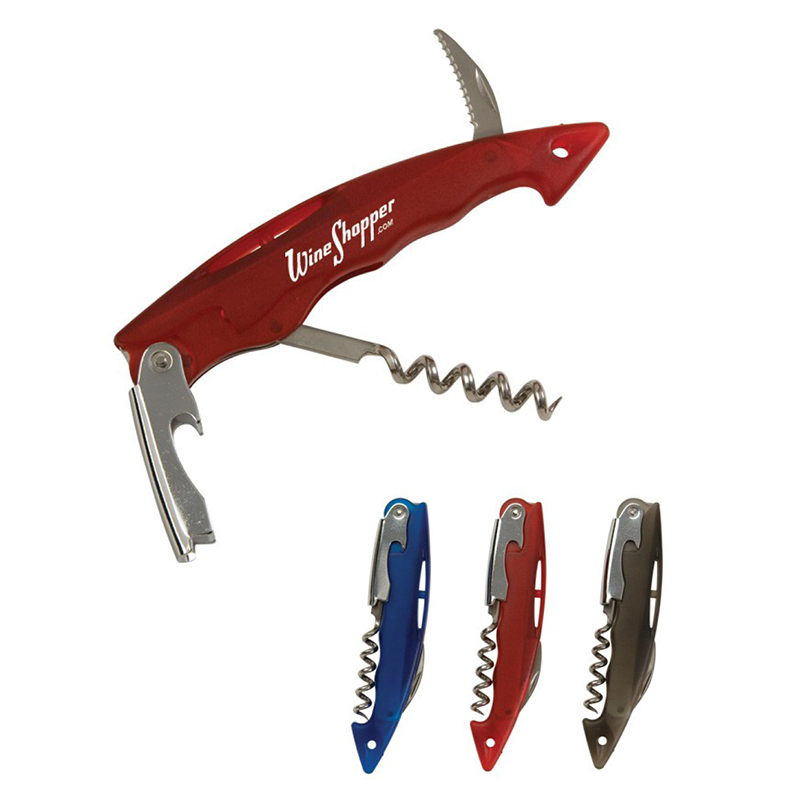 All-in-one compact wine opener with sharp serrated cutter, bottle cap opener, and corkscrew. Features translucent colored durable plastic housing. Colors Available: Translucent Blue, Translucent Red, Translucent Smoke.